Halloween is one of my favorite holidays, but somehow this year I haven't gotten into the spirit. I was traveling for much of October and some of that time was under the weather a bit. So now Halloween is here and I have nothing to show for it. Since I am joining those fine folks at WTNZ Fox43 for a segment this morning, I thought I'd share some simple, last minute Halloween ideas to inspire viewers at home as well as myself! There's still time to throw together some spooky decor and goodies using things you probably already have on hand. I've seen this cute project floating around (get it, ghosts float?) 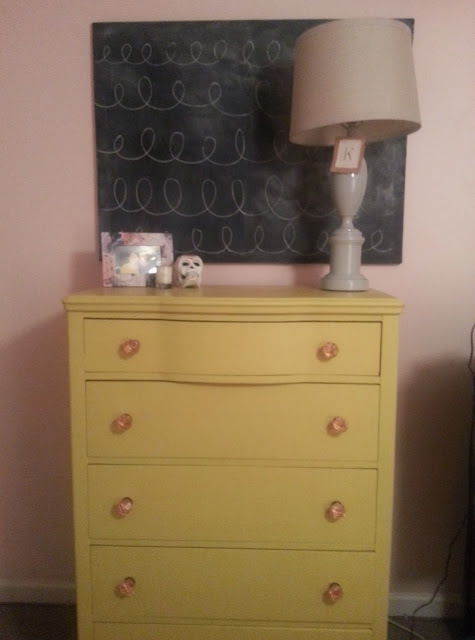 on Pinterest and I decided to try it myself. 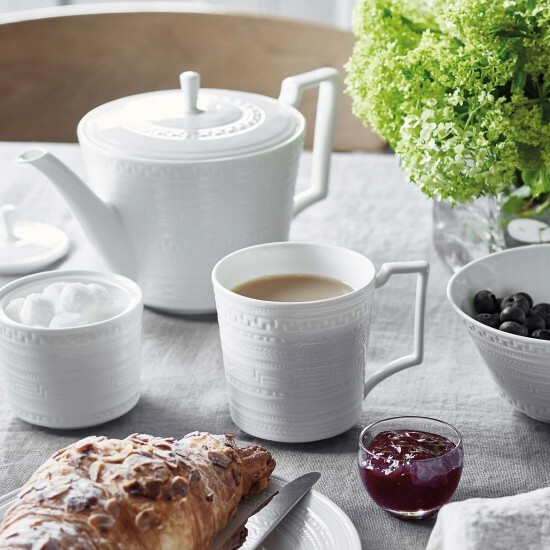 Nothing could be easier, especially if you already have the plastic milk jugs on hand. All you need is a clean, dry (empty!) plastic gallon jug. The best for this project are translucent, but not completely opaque since you want the light to shine through. 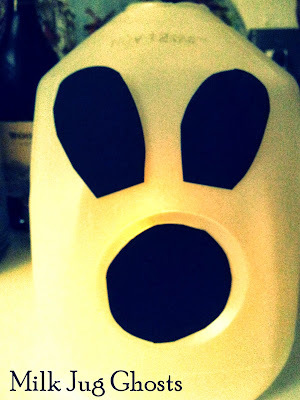 Using a permanent marker, draw a ghost face on the outside of the plastic jug. Or you could cut out shapes from black paper and tape them on (my method). Then add a light source inside. It can be one of those electric votive candles or even a strand of holiday lights. Probably one of the main reasons I love Halloween is the candy. Who's with me? I was raised on the classics, Reese's peanut butter cups and Hershey's kisses. I guess that's why the next two Halloween treats seemed so appealing to me. 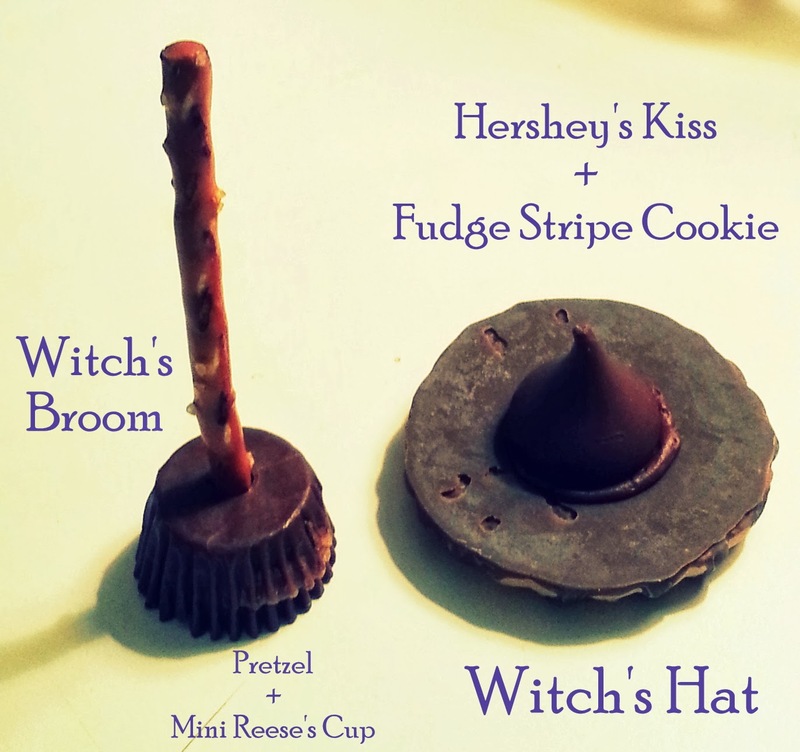 To create the witches hats, you'll need some type of flat, round chocolate cookie, Hershey's kisses and chocolate frosting. For the witches brooms, you'll need mini Reese's cups (not those tiny ones though) and mini pretzel sticks. These Halloween treats are really easy to make and so fun! It's hard not to eat them as you make them, but isn't that sort of the point? Using paint swatches is great for all sorts of crafty projects. You probably want to find the swatches that are square, rather than the ones that resemble bookmarks. I used black cardstock to create the facial features. 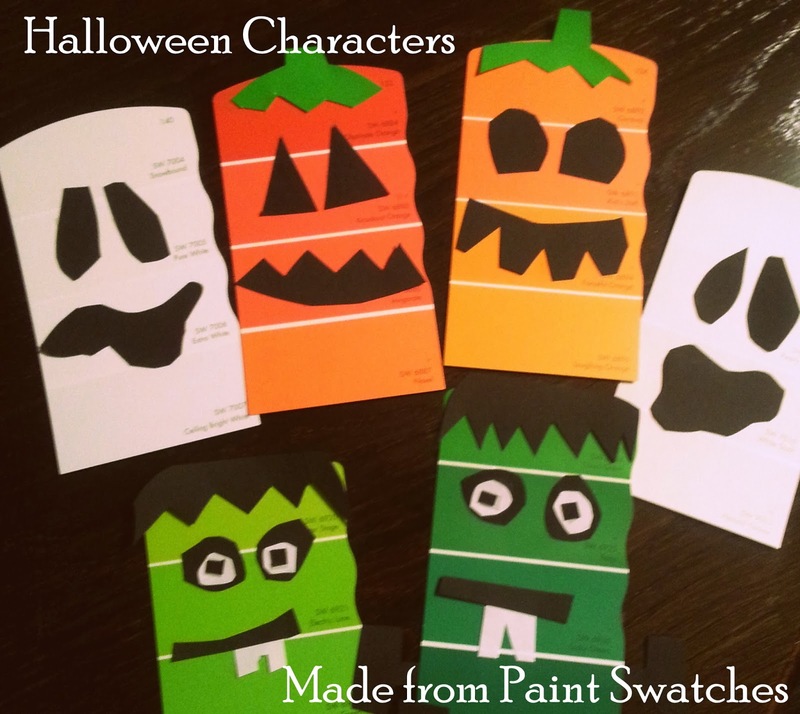 These would make great Halloween cards, place cards for a party or event invitations! 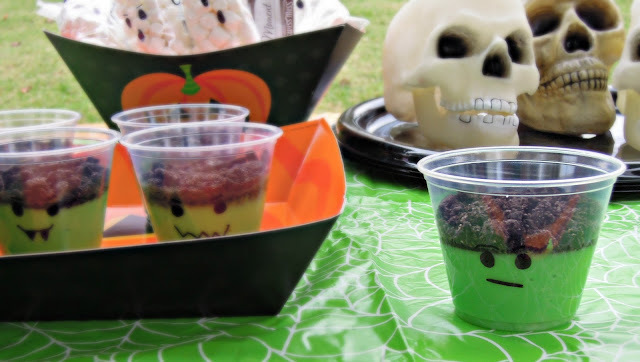 Another simple Halloween treat is made from turning store-bought pudding cups into creepy characters. For the vanilla pudding, you can draw a ghost face right on the plastic cups. For the Frankenstein faces, add a little green food coloring to the pudding and crumble Oreos on top. How cute is that? I often struggle when people ask me what I do. I wear lots of hats in life...freelance public relations consultant, social media strategist, blogger. But the part of what I do that I most deeply identify with is that of a storyteller. 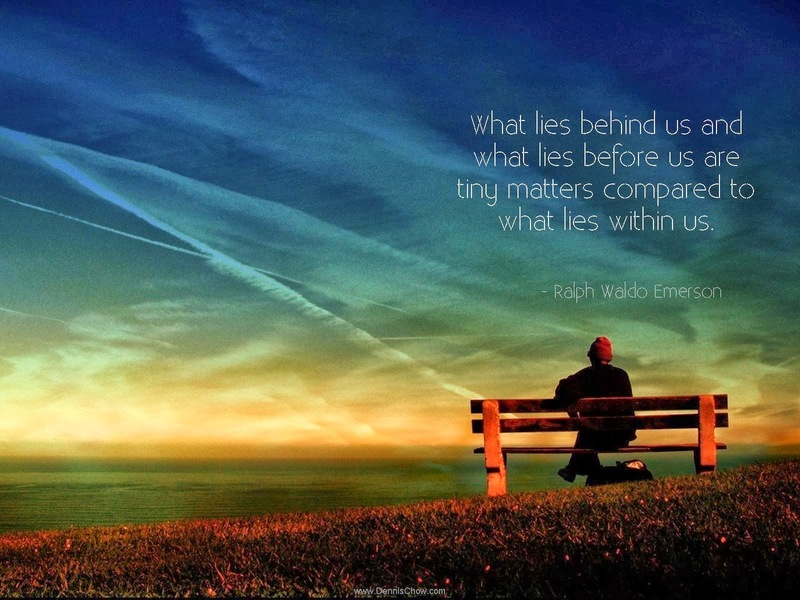 To me, blogging and storytelling are one and the same. I love both equally. Lately, I haven't been posting to the blog as frequently as I had before. When someone asked me why, I said it was because I was going through a re-imagining phase...seeking new inspiration. That was kind of a lie. The truth is, the reason I haven't been blogging is because I was afraid I'd run out of stories. October rolled around and I thought about the typical October posts I could do. Pumpkin recipes, trips to the pumpkin patch, stories of Halloweens past. Been there, done that, crossed them off the list. So, this brought me to the conclusion that I'd told all the good stories and thus run out of stories to tell. As someone who really likes telling stories, this scared me. And depressed me a little too. The other morning, I was sitting on the patio drinking a cup of tea. And I found myself talking to God (as I so often do). What if I've run out of stories? 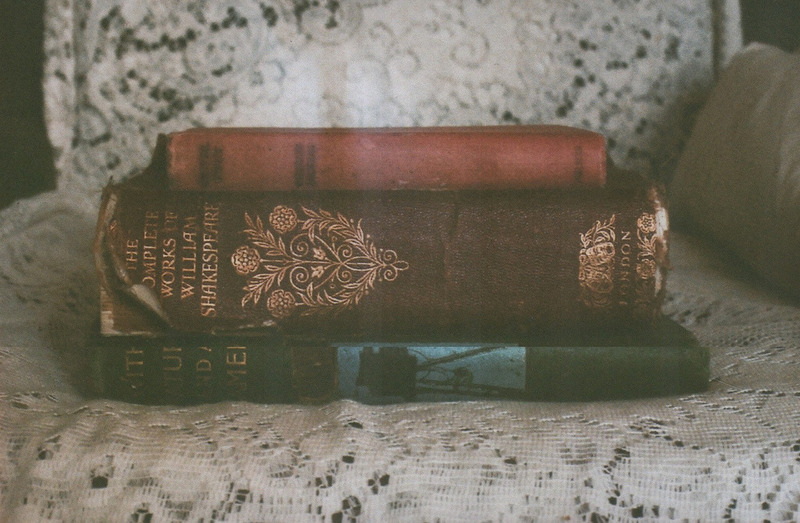 And I heard so clearly in my heart these words: There are plenty of stories left to tell. Plus the really good ones warrant telling again and again. I immediately thought of my grandparents and all the stories they've told me through the years. The really good stories are the ones I ask to hear over and over. I know how they end, but I ask to hear them anyway. There are plenty of stories left to tell. As I let that sink in, I realized how silly I'd been to think I could run out of stories...as if there is a finite amount. There are plenty of stories left to tell...stories of people I haven't even met yet, and untold stories of people I've known all my life. And brand new stories of things that haven't even happened. 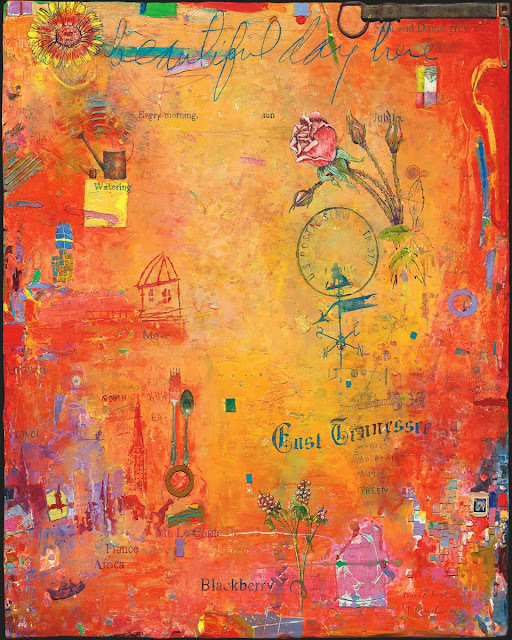 We can tell them again and again, relishing our favorite parts, embellishing them as we see fit. And in each new telling, the stories shift and change. And illuminate things that were previously shadowed. Each day is a new opportunity. A new sunrise on a new chance. A clean sheet of paper on which to write a new story. Every person we meet has a story. They might never have the chance to tell it if we don't ask. 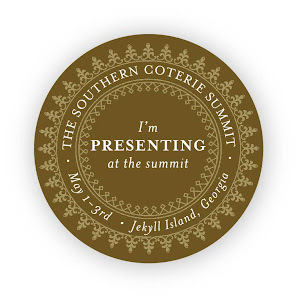 I first had the pleasure of meeting Carrie Morey at The Southern Coterie Summit on Jekyll Island earlier this year. We reconnected at the Southern Food Writing Conference and International Biscuit Festival in May. 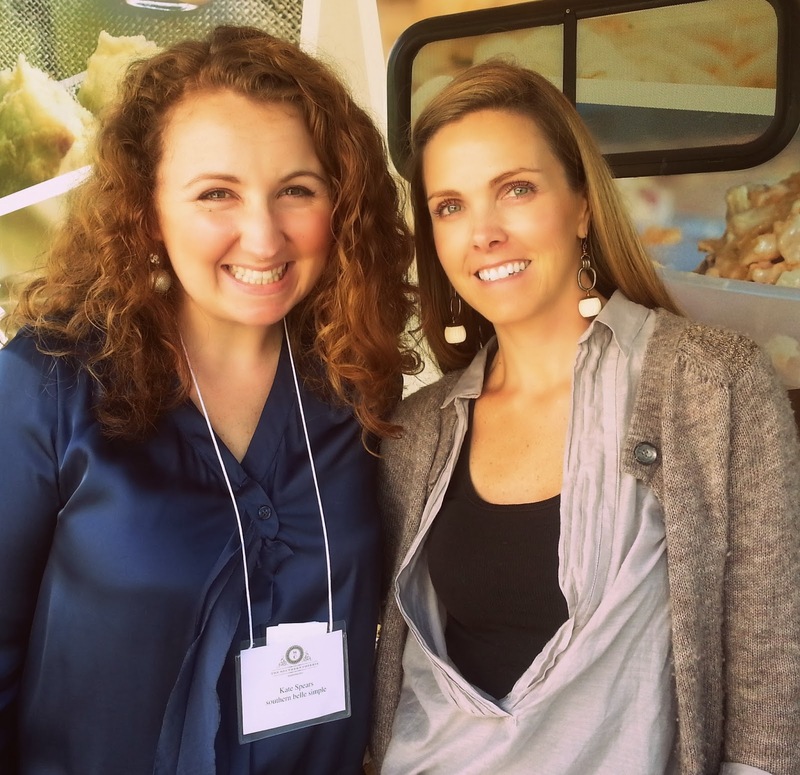 She is so kind and genuine and I was excited to see her smiling face this past week at the Southern C Summit in Nashville, where she was passing out biscuits and promoting her new cookbook. Carrie started Callie's Charleston Biscuits because of her mom, Callie White, who made the most delicious country ham biscuits for catered affairs. There are now seven varieties of biscuits, in addition to cheese crisps, pimento cheese and other incredible products that you can buy at various retailers around the country, including The Fresh Market. 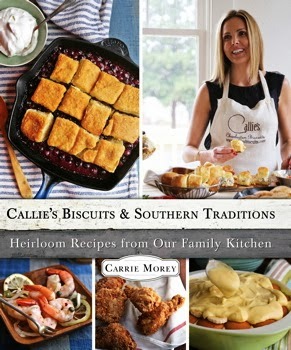 Morey's new cookbook, Callie's Biscuits and Southern Traditions, is a must-have for any southern (or wanna-be southern) cook. You might think me silly, but I was moved to tears during Carrie's presentation at the Southern C Nashville event. Not because biscuits make me cry (well, the good ones do actually), but because it just encourages me so much to see someone pursuing a passion and having great success doing so. When she shared about how she had started out driving around in her Suburban delivering biscuits or vacuum sealing them in her laundry room, it reminded that the really good things in life are worth working for. Luck is part of it too, but hard work and dedication paves the way. 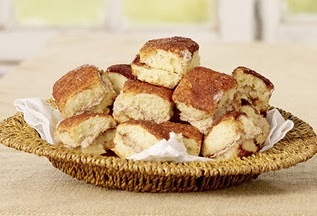 If you haven't tried Callie's Charleston Biscuits, I hope you will! I tried the Cinnamon variety for the first time recently and they are a tiny bite of heaven. No lie! Today is one of my favorite days of the entire year. Okay, that might be a little bit of an exaggeration but it is a day near and dear to my heart. October 17th has been designated as "Wear Something Gaudy Day." I grew up hearing my grandma use the word with great disdain to describe jewelry, fashions or home decor she didn't approve of. 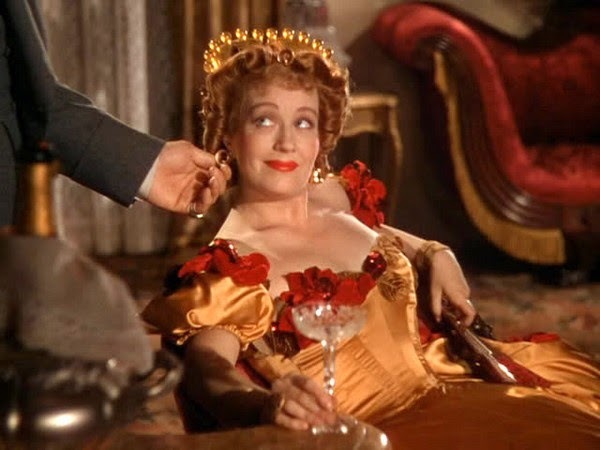 She was also quite fond of the word 'uncouth' and used it often to describe people who weren't southern and/or people who weren't acting like good southerners. 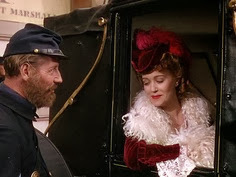 This Gone with the Wind anti-heroine gave Scarlett a run for her money by befriending Rhett and just plain ol' being a decent person. 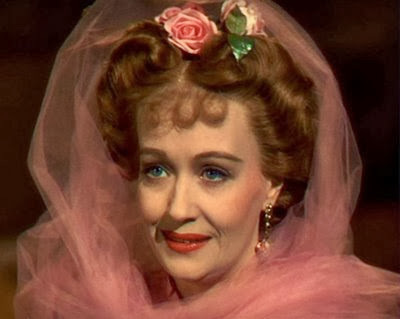 I always loved her style...her strawberry blonde hair and crimson lips, her red velvet jail-visiting ensemble trimmed in white fur. I wish she had gotten more of a story line in the film. So you heard it here friends...today, you can rock your gaudy looks with pride! And for that matter, if you love how it makes you feel, go gaudy every day. Style is about expressing your personality and if you've got it, flaunt it! It's pumpkin mania this time of year with pumpkin-flavored everything in stores and restaurants. 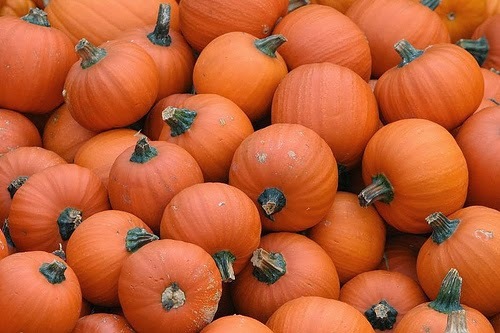 I love pumpkin just as much as the next guy (maybe more than!) so I wanted to share a favorite pumpkin recipe of mine: Pumpkin Doughnuts. I'm also stopping by for a visit with my friends on Mornings with Fox43 and thought this recipe would be a fun thing to demonstrate. Deep frying on live television...it doesn't get more southern than that! Blend first five ingredients together well. Combine remaining ingredients and stir into the dry ingredients until moistened. Now for the frying...this could vary depending on your preferred method. If you have a fryer, use that. Otherwise, use a tall-sided stock pot. A couple inches of vegetable oil in the bottom is all you will need. The secret here is low and slow. Bring the oil to medium-ish heat. Drop spoonfuls (or scoopfuls) of batter into the oil. The doughnuts will begin to float as they fry. Turn them over a few times so that each side is fully cooked. You might need to test one by poking it in the middle with a toothpick to see if it's done. If not, cook it a little longer in the oil. Transfer cooked doughnuts from the oil to a plate lined with a paper towel. When the oil has drained, transfer to a brown paper sack with a little powdered sugar sprinkled in it. Shake the sack until the doughnuts are coated evenly. Try not to eat just one. Do you care what other people think of you? It's a fairly simple question, but the answer is oh so complicated...or at least it can be. Last night, I was organizing some personal papers and ran across a file from my previous employer. It contained non-disclosure documents and other assorted things, but one page that caught my attention was my performance review. Even though, I haven't held that job for well over a year, I sat down and read the performance review document carefully...going over every statement about what they thought of my work, my performance and ultimately me. It's so easy to get caught up in what others may or may not think about us. Maybe it comes across through a look that doesn't seem right, a comment made with a particular tone, or an air of fake friendliness or disdain. Why do we allow these negative interactions to have such an effect on us? Why does a random stranger's opinion matter so much? For that matter, why does anyone's opinion of us matter? I think it has something to do with my dad's favorite maxim, the thing he always said to me as I was leaving the house as a teenager, "Remember who you are and where you come from." When you know who you are, what you believe in and what you stand for, it's easier to allow others' judgments and opinions of you roll off your back. I'm not saying there is never a time when you might feel less than. But having that sense of your identity really goes a long way. As someone who believes in God, much of my identity comes from my belief. I find that when I spend time thinking about what God says about me (that I'm loved, that I'm His precious child, etc) I get a much truer sense of my identity than when I look to others to tell me who I am. The world will always tell us we aren't good enough, that we'll never amount to anything, that our accomplishments define us, that we're in constant competition with each other to see who can be the best. Call me crazy, but this is total crap. It's like my performance review from a job I no longer have. Whether it was a glowing review or harsh criticism, it doesn't define who I am. While it might have had some bearing on my life at one time, it's now in the past.